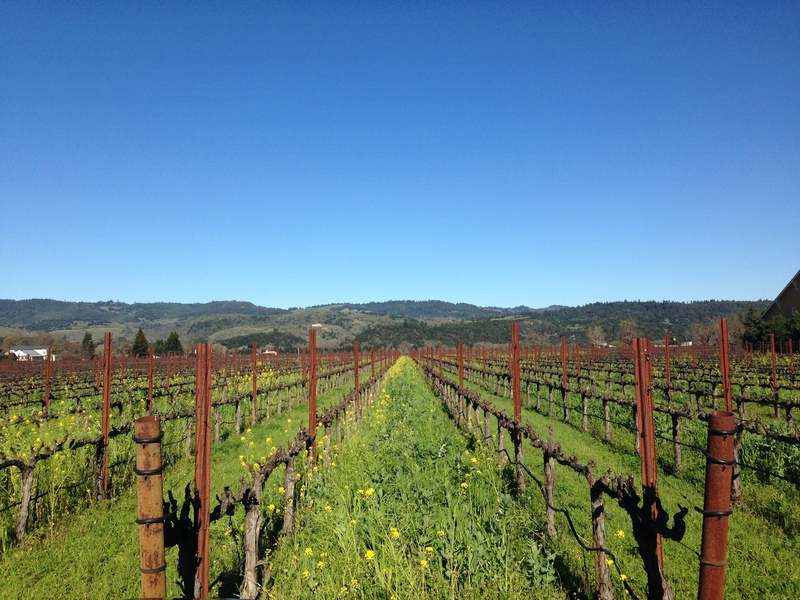 Napa Valley is a truly beautiful part of California. The valleys, the green rolling hills, the stunning wineries, the perfectly lined up vineyards. There is a je ne sais quoi in the area, a feeling that it is the perfect place to spend the weekend. I actually spent two of them strolling along vineyards and properties, driving through winding roads and sipping on wonderful wines. But beyond wine tastings and tours at most of the estates Napa Valley has much more to offer. Here are 7 things to do that don’t involve wine. Is there anything more romantic than an early morning floating journey above the valley? This was my first time on a hot air balloon and it was a very soothing experience. The idea of floating in the air taken where the wind goes without control or influence is liberating. The pilot told us that on our day, it was one of the 9-10 days a year when you can see San Francisco Bay. It was indeed an extremely beautiful blue sky crisp day and seeing the fog that usually encircles the city was like staring at a Disney movie. Despite the 4,30am alarm so that I could drive from Mountain View and get there on time it was a totally worth it experience. Top it all off with a brunch at the Marriott Hotel where the trip starts and ends. 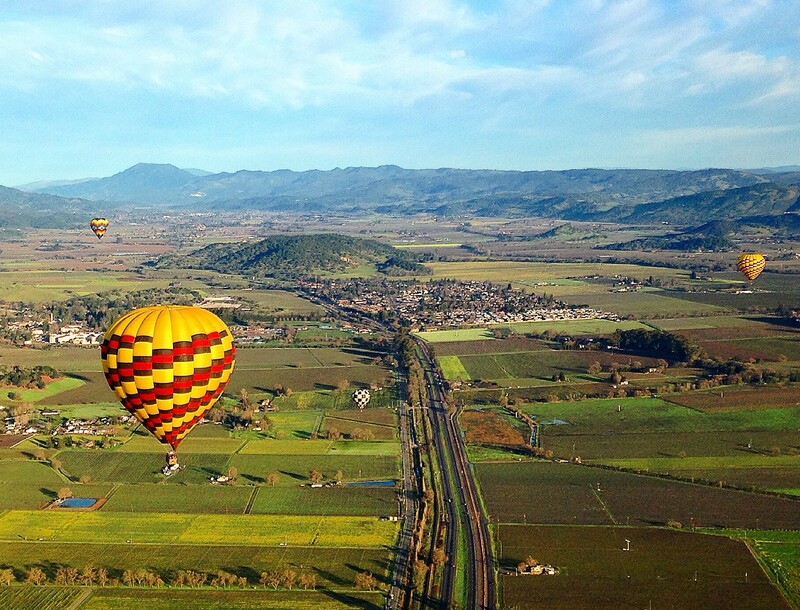 Balloons Above the Valley offers balloon trips with brunch for $209 per person. Depart from Marriott Hotel at 6,45am. Time varies at certain times of the year. Napa Valley has become the garden to San Francisco’s farm to table movement and the area boasts two 3-Michelin starred restaurants, although the world-famous impossible-to-get-a-reservation-on French Laundry is now closed for renovation. Aside from the top-accolade restaurants there are other 7 stars spread over 7 restaurants. You can enjoy an uber-romantic meal at Auberge du Soleil where just the views and the setting will evoke a Mediterranean summer night and you will be able to see all the stars that city dwellers never get the chance to enjoy. Romance is not the only thing served, the food and the service are also of high quality. Other well-known fine dining spots include Terra, Lisa and Hiro restaurant with a sister property in downtown San Francisco, Ame. 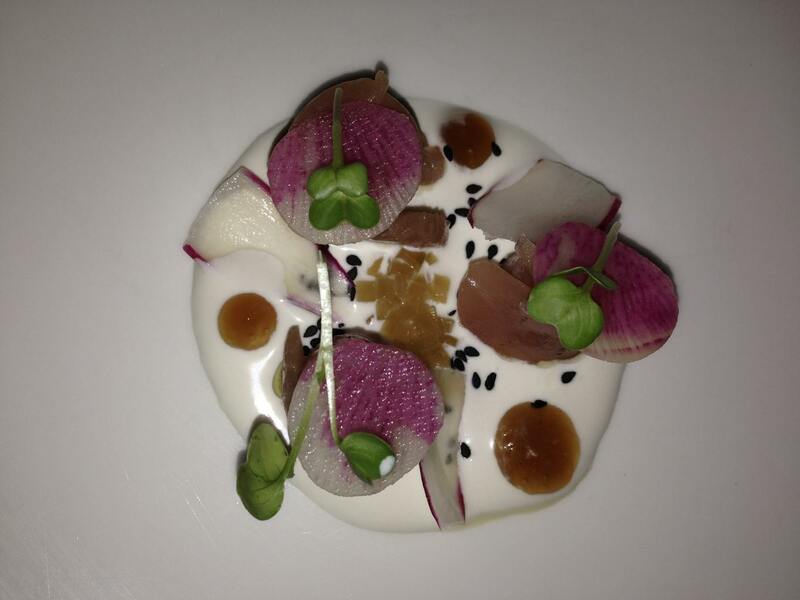 Their take on New American cuisine, with accents of Japanese influence is deliciously inspiring. Stop at Press for a pretty setting, food and great cocktails. The Michelin Guide has a few other restaurants listed. You can read my detailed review here but the area around Calistoga is known for its natural hot springs, which have been used not only for spa treatments but also as ingredients into mud baths. These are not clay wraps, like I had imagined, these are large bathtubs filled with volcanic ash mixed with moss and spring water. It is disgusting, but very effective and, if you are not too keen on submerging yourself into a bath filled with a cow poo-looking melange, you can also just enjoy the spring water Jacuzzi and a massage. Be brave and go for the whole treatment, your skin will thank you. There is nothing better than a day out in the countryside in the peace and quiet enjoying some quality time with your loved ones, or with nature, laying down on a picnic matt and with the smell of BBQ in the background. V.Sattui offers weekend BBQ at their properties. You can grab the essentials at the Dean & Deluca across the road and buy a bottle of wine on site. Living in countries that do not grow anything locally for the past 10 years I have an increased sense of taste for flavorful natural fruits and vegetables. Couple that with an irrational love for markets and nature in general and I am a sucker for farmer’s markets anywhere. The smell of fresh fruit, the glistening color of raw tomatoes, the colorful cases of vegetables locally grown. You name it. At the St. Helena Farmers Market you can browse the alleys and stalls and do some grocery shopping for the week stocking on some aggressively fresh and locally grown produce. Fabulous! 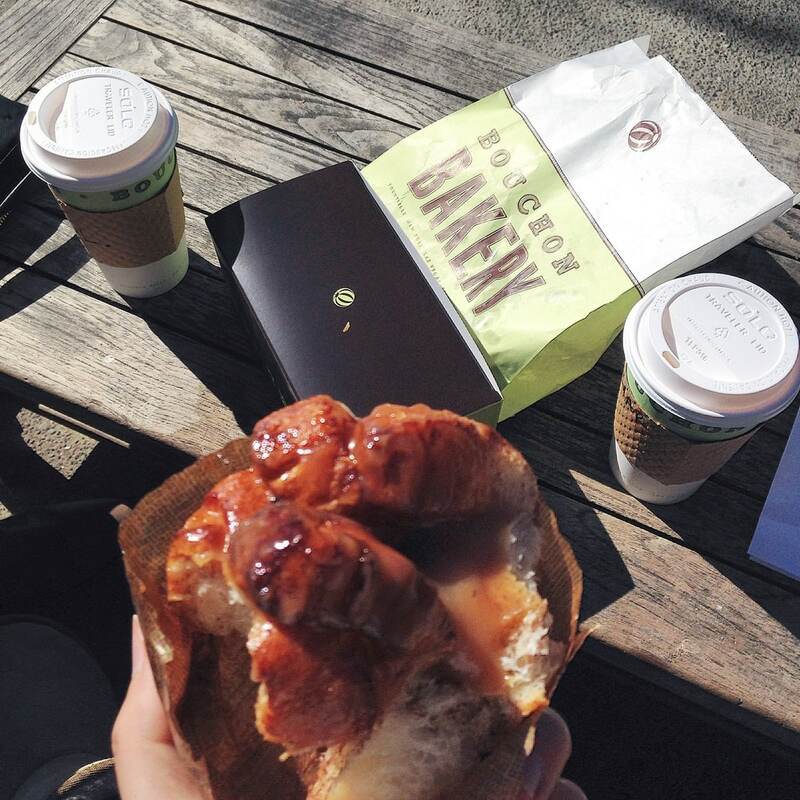 Start off with breakfast in the sun at celebrity famous Bouchon, French Laundry sister bakery in Yountville or see the world by on the outside tables at more traditional 80-year old The Model Bakery in St. Helena. Read the newspaper and enjoy the peacefulness of the countryside. Follow with a walk along the man streets in St. Helena, Yountville or Calistoga. Browse the shops, check out some antiques, hand made soaps and other crafts.